In a bid to tackle the environmental impact of four decades of untrammelled growth, China is in the fourth year of a "war on pollution" and has promised to take action against persistent offenders. Handan: Hebei province, home to many of China's most polluted cities, has promised to close down companies that are poisoning the environment, but after years of protests villagers living in the shadows of the Guantao chemical park remain sceptical. Though festooned with banners calling for the construction of "beautiful villages" and the "upgrade" of Hebei's highly-polluting heavy industries, the sprawling complex of chemical plants shadowing the villages of Nansitou and East Luzhuang often operates unchallenged by environmental regulators, residents say. They say local authorities turn a blind eye to factories that pollute air, water and land. In particular, they claim that the plants do a lot of their dirtiest work at night when inspectors are rarely seen. "They just don't come," said a resident who would only identify himself by his surname Zhang. Near his home was a patch of burnt undergrowth, the result of a vehicle carrying hazardous chemicals catching fire earlier this year, sending plumes of pungent smoke through the streets. "I gave them a call but none of them came," he said. "We can't stand the smell and there's suddenly smoke everywhere." Provincial and municipal environmental authorities did not respond to requests for comment, but an inspector surnamed Liu, who is responsible for monitoring Guantao Park, told Reuters by telephone that the facilities were under 24-hour surveillance. In a bid to tackle the environmental impact of four decades of untrammelled growth, China is in the fourth year of a "war on pollution" and has promised to take action against persistent offenders and the local governments that protect them. Hebei's proximity to Beijing - it virtually surrounds the capital and produces about a third of the particulate matter that often chokes the city - has put it on the front line. The villages are on the outskirts of the steel city of Handan, which official figures show had the most polluted air in the first four months of this year. In an archive of nearly 11,000 complaints submitted to the Hebei government in the past nine years and made available online (http://www.hbepb.gov.cn), around 700 cases from across the province involved incidents of nocturnal pollution, with many complainants saying that local environmental bureaus did not have the clout to tackle the problem. Gao Hongzhi, Handan's party secretary, told Reuters on the sidelines of China's annual parliamentary session in March that pollution at night remained a problem, and officials were working to rectify it. "Some enterprises are reckless and they use the cover of night to emit pollutants," he said, noting the city was now tracking late-night power consumption to catch culprits in the act. "In 2014, we discovered more than 100 enterprises had this kind of problem, but last year it was down to around 40. This issue is very important and we are paying attention to it." Residents said there had been a spike in cancer cases in the villages, especially in the last four years, though they couldn't provide proof in the form of data. Government departments, disease control centres and hospitals in Hebei, Handan and in the local county governments did not respond to requests to provide figures for local cancer rates or causes of death. Since 2008, swathes of farmland have been steadily taken over by the Guantao park, now consisting of around a dozen plants manufacturing pesticides and other toxic products like benzene. Some residents said they had already given up planting cotton and sweet potatoes, which no longer grow because of the pollution, and replaced them with hardier crops. During a dawn visit to the area by Reuters journalists, plants at the Guantao park appeared to be more active than they were on visits during the day. Plumes of smoke issued from buildings that were inactive earlier, and a chemical stink hung in the air. An official complaint about pollution at the chemical park was submitted to the provincial government as early as April 2014. "I have no idea whether this will be of any use, but I need to try on behalf of ordinary people!" wrote the complainant, who wasn't identified. Despite promises from the Hebei Environmental Protection Bureau to put the park under greater scrutiny, violations have continued, according to local residents. 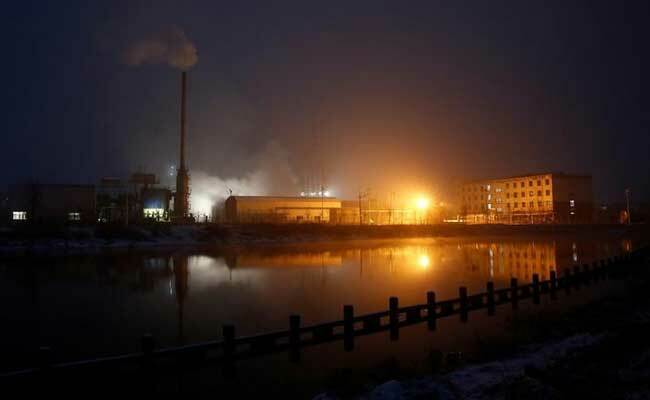 In March last year, for example, the Hebei Rongte Chemical Corp pledged to local residents to strengthen "internal management" after a cracked benzene heating gasket leaked toxic steam into the air, according to documents supplied by residents and reviewed by Reuters. Benzene is a known carcinogen. An official with Hebei Rongte hung up the phone when asked by Reuters about the incident. A source with direct knowledge of operations at another plant said untreated waste water was regularly dumped directly into the ground. "There's so much polluted water they couldn't handle it," the source said when asked why the firm didn't use an on-site treatment facility. The source did not want to be identified, fearing repercussions. Reuters was unable to reach administrators at the chemical park on two separate listed numbers. Late in 2014, frustrated villagers blockaded the chemical park and the local highway. Reuters was unable to reach officials to confirm claims the chemical plants offered financial compensation of 3 yuan a day (43 U.S. cents) to end the stand-off, and then didn't pay it.